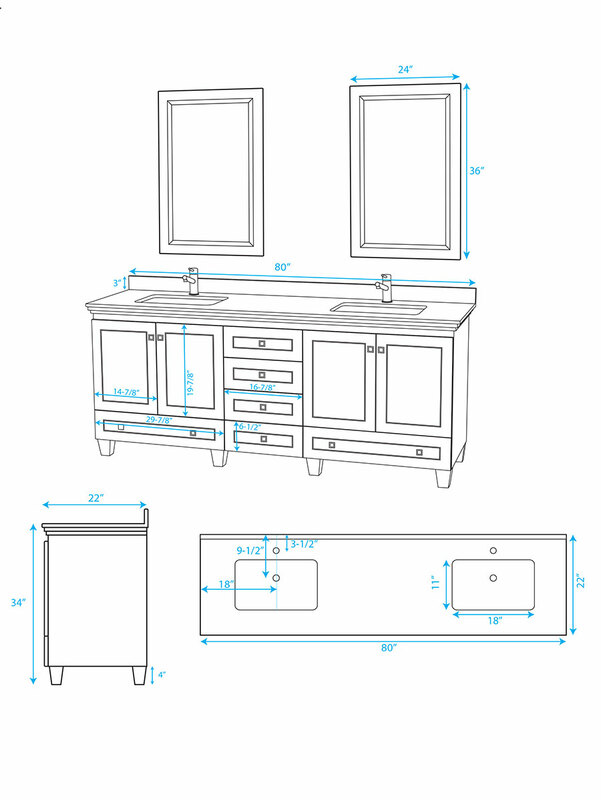 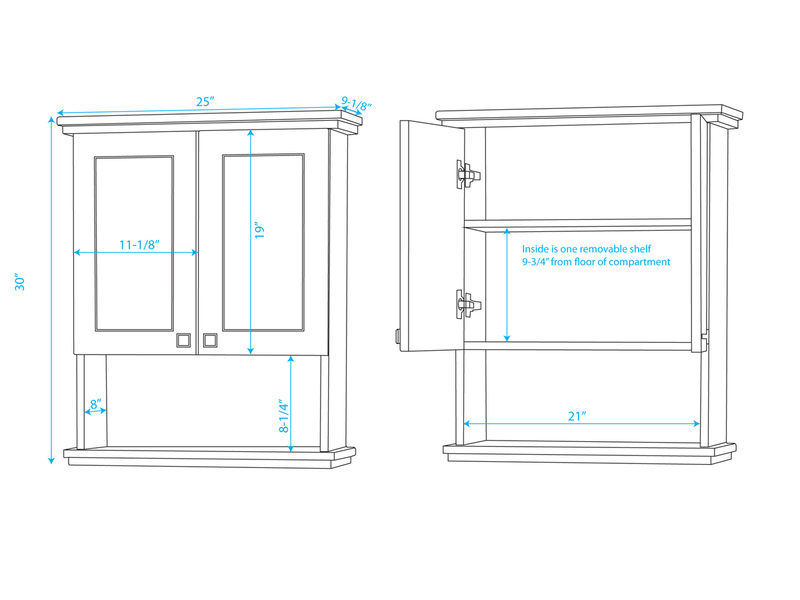 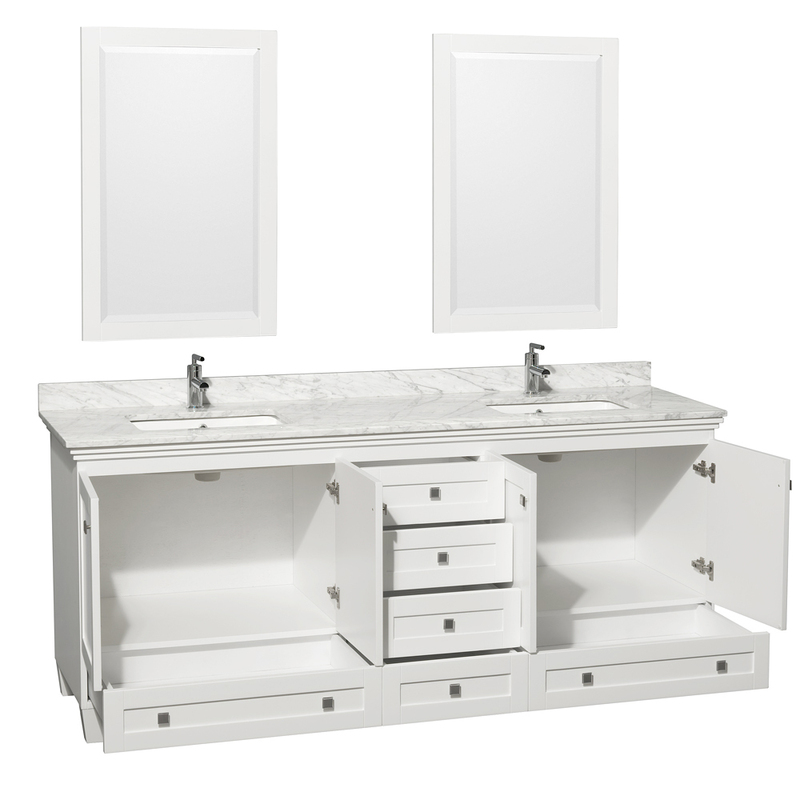 The 80" Acclaim Double Vanity offers both spacious counter space along with room for storing all your bathroom necessities. 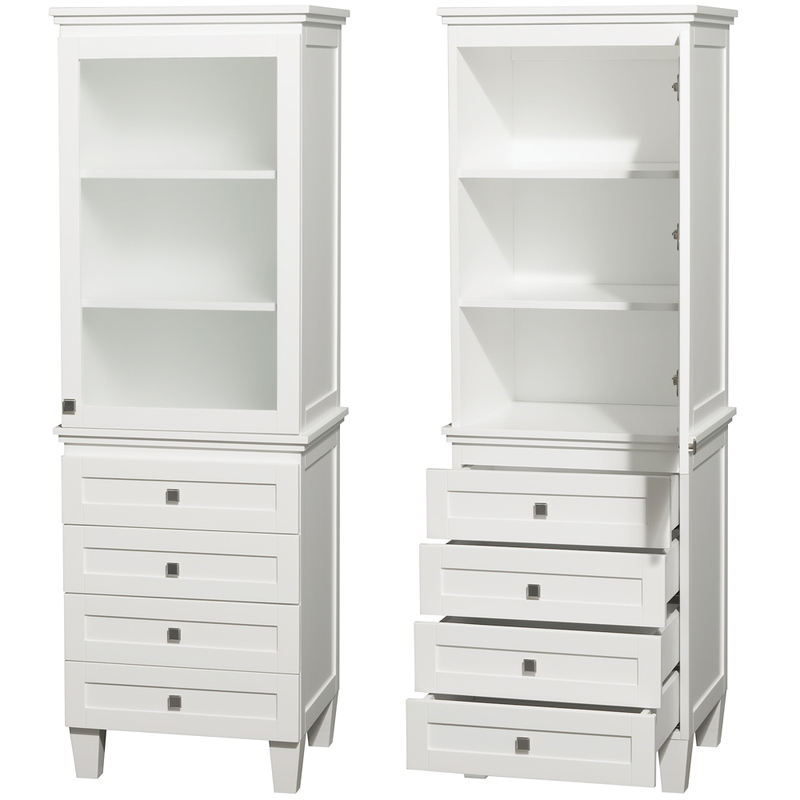 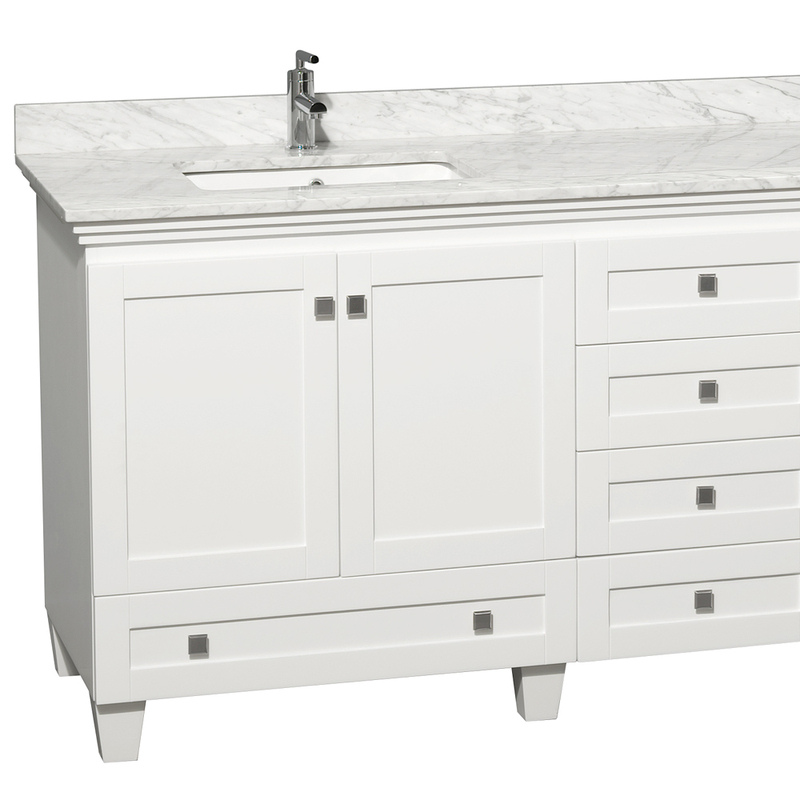 Featuring a solid oak cabinet finished in a bright White, this vanity offers two double-door cabinets, four small drawers and two larger drawers of storage space. 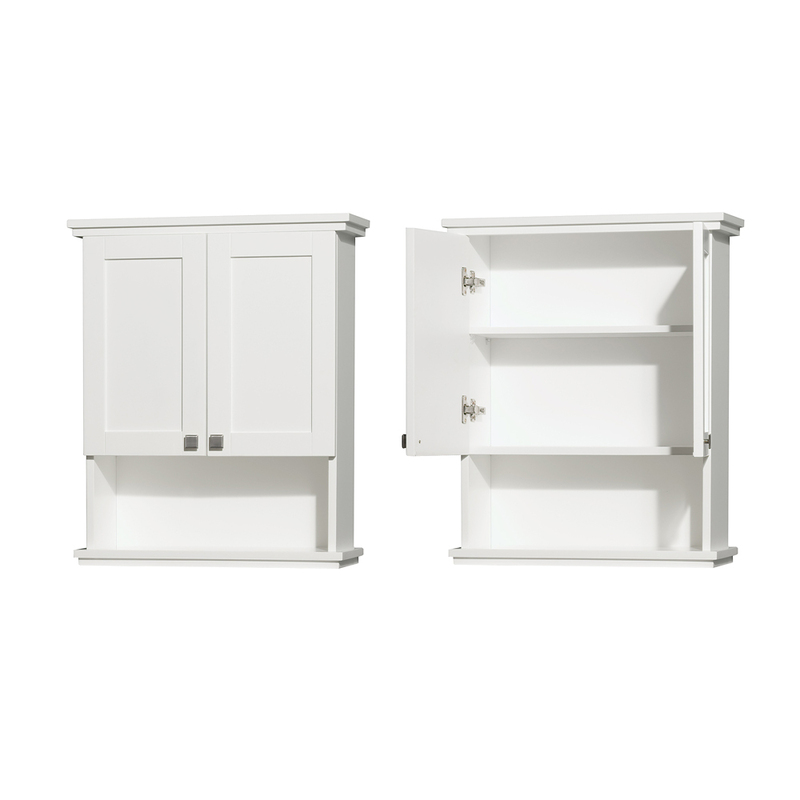 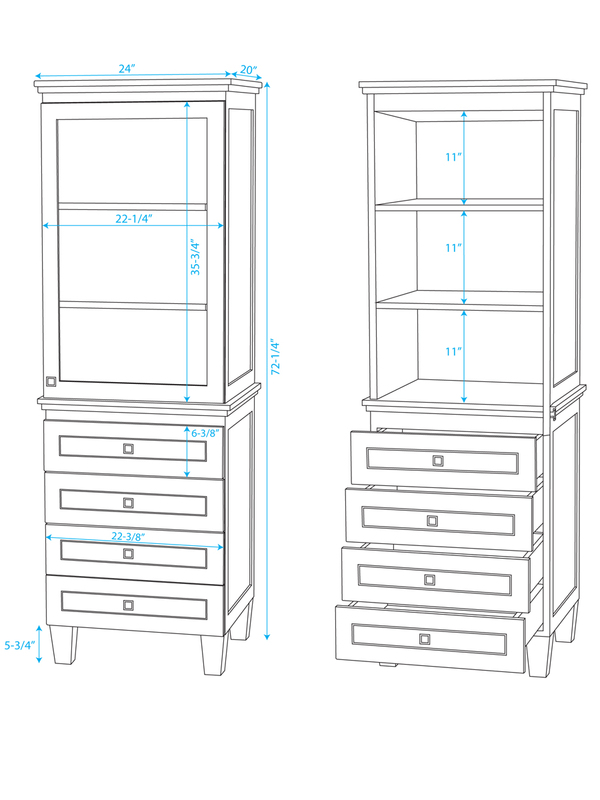 Each cabinet door and drawer is equipped with a soft-closing slide/hinges and adorned with Brushed Chrome hardware. 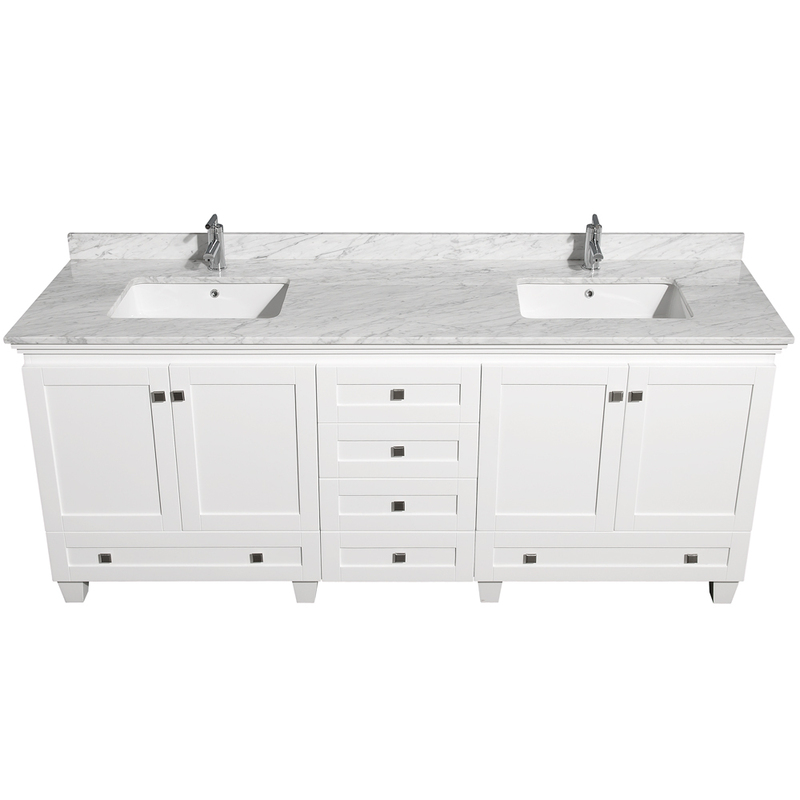 Choose from a Carrera White or Ivory marble top. 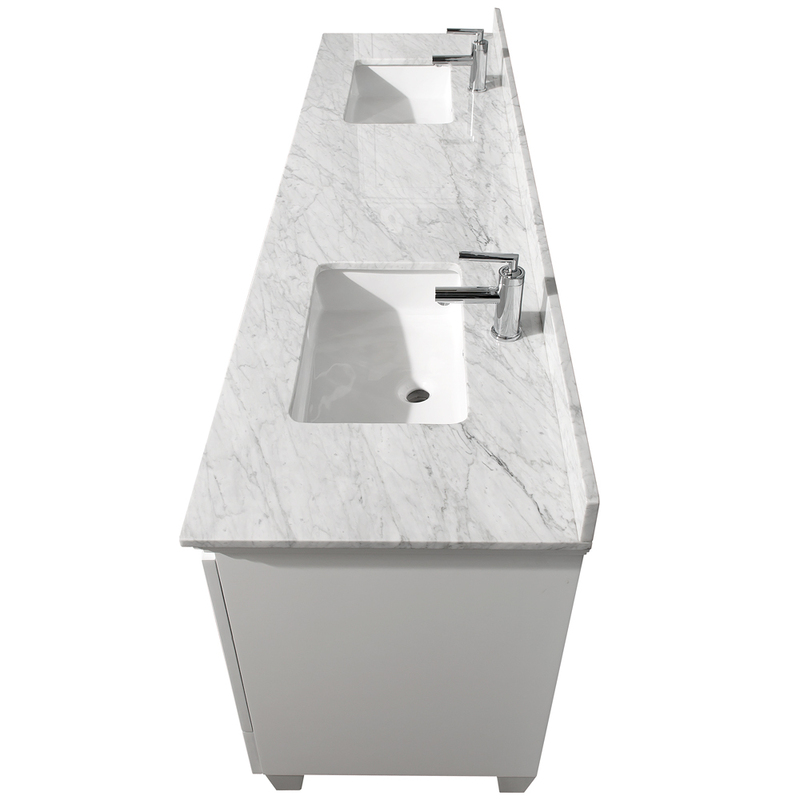 It is cut with two rectangular shaped white porcelain undermount sinks and pre-drilled with two single-hole faucets. 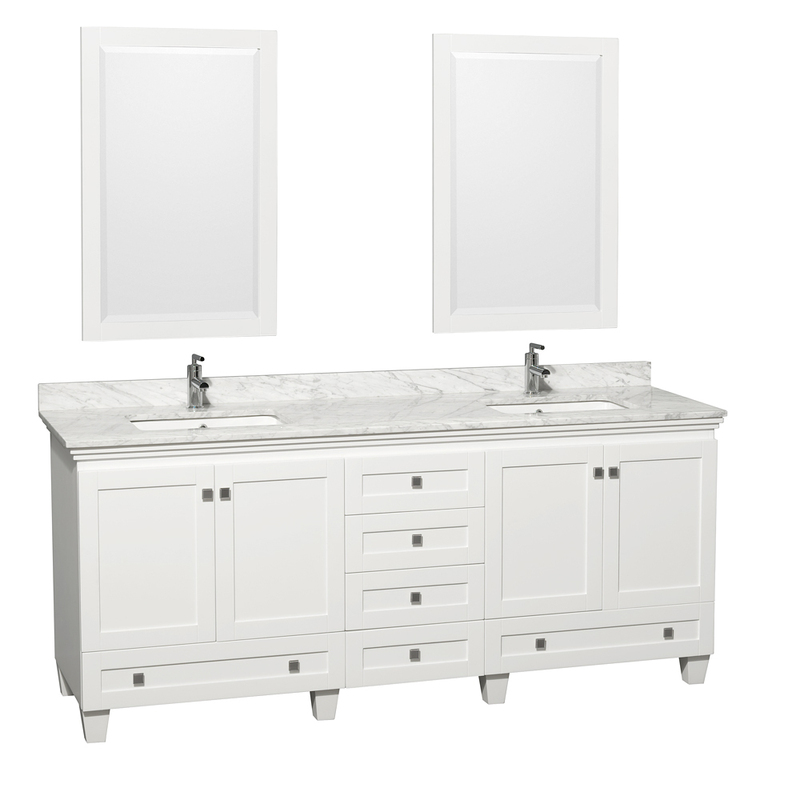 Two matching mirrors come with the Acclaim Vanity.